The most common way to make Crêpe Suzette is to pour liqueur (usually Grand Marnier) over a freshly-cooked crêpe with sugar and light it. This will make the alcohol in the liqueur evaporate, resulting in a fairly thick, caramelised sauce. In a restaurant, a Crêpe Suzette is often prepared in a chafing dish in full view of the guests. The origin of the dish and its name is somewhat disputed. One claim is that the dish was created out of a mistake made by a fourteen year-old assistant waiter Henri Charpentier in 1895 at the Maitre at Monte Carlo’s Café de Paris. He was preparing a dessert for the Prince of Wales, the future King Edward VII of the United Kingdom, whose guests included a beautiful French girl named Suzette. Different sources (like the Larousse Gastronomique) however doubt that Charpentier was serving the prince instead of the head waiter because he would have been too young. 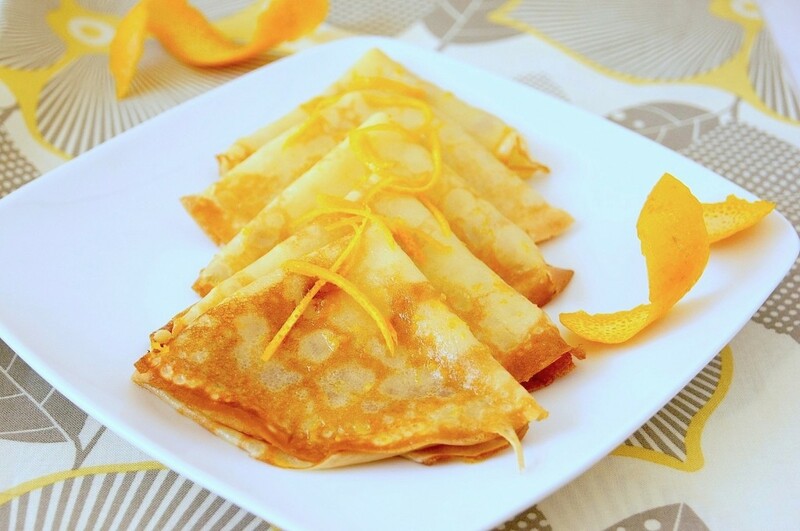 The other claim states Crêpes Suzette was named in honor of French actress Suzanne Reichenberg (1853–1924), who worked professionally under the name Suzette. In the early days of the crepe, white flour was an expensive product, reserved only for royalty that why savory crepes were traditionaly made with buckweat , a esay to grow plant..
Crepe is the French word for pancake. Crepes differ from traditional pancakes in that they are lighter, thinner and are utilized in both sweet and savory dishes. Unlike pancake batter where some lumps are of no consequence, crepe batter must be smooth and more fluid, like the consistency of heavy cream. 1806 Chapin Aaron Harris was born. He was cofounder of the first dental school in the world, the Baltimore College of Dental Surgery. 1833 John Deere developed the first steel plow. 1851 John Gorrie patented an ice making machine, the first U.S. patent for a mechanical refrigerator. 1898 Daniel Gerber of baby food fame was born. 1905 Toots Shor, restaurateur was born. Reblogged this on PaulOkonji Blog.